CopyCats - Office Equipment - Printing - Signs - Apparel - Copiers - Service - Sales RI - CopyCats Office Equipment - Printing - Signs - Apparel - Service - Supplies & More! All Your Business Needs, One Location!!! CopyCats dedicated team is motivated to fulfill all of your Business needs; no matter how large or small, with our guaranteed low prices, personable and quality assured service to you our valued customers. ﻿CopyCats Professionally Trained Solutions Team provides service on ALL makes and models of Copiers, Printers, Fax Machines and Finishers.​ We also have Brand new and reconditioned Color/B&W Copiers and printers in stock and on sale with leasing and rental options. Parts, Supplies and Service Agreements available.for all your office equipment needs. With CopyCats Prompt, Professional Services And Guaranteed Lowest Prices. You won't need to go anywhere else! All types of signs. From design to installation. Such as Light Boxes, L.E.D. 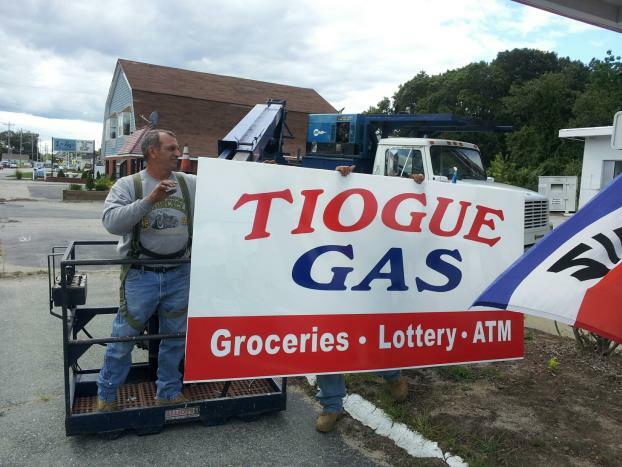 Signs, Awnings, A-Frames, Chanel Letters, Banners, Yard Signs, Job Site, Real Estate Style W/ Riders, Marquee, Window Lettering, Magnetic, Vinyl Signage and much more!. CopyCats will help Promote your business with custom silk screen printing, Direct to garment and embroidery on all types of apparel using your logo and business name. New Businesses without a logo, no problem. 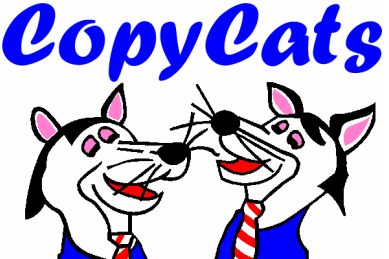 CopyCats staff will sit with you one on one and create new logo that represents your company. From T-shirts and sweat shirts to hats, hooded sweatshirts and jackets, let Copycats custom design and complete your order.